The 2014 Chicago Auto Show was opened to the press today, and on Saturday will be open to the public at the impressive McCormick Place in frigid Chicago. There are tons of great new cars worth seeing, but this vintage Ford Mustang caught our attention right away. 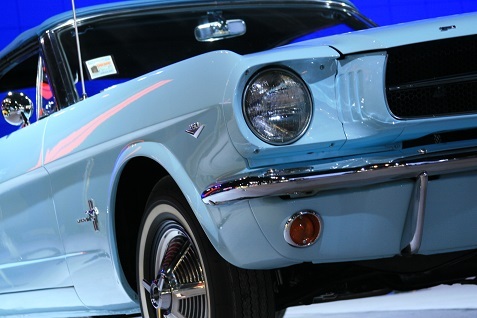 It’s billed as the first Ford Mustang Convertible ever sold. You’ll see the all-new 2015 Mustang right next to it as well. A Ford Mustang Station Wagon?